We tried to have a meal here 3 times - the first time she was sold out, the second attempt was their weekly day off, the third time turned out to be the one. We went at about 5:30 to make sure we didn't miss out and we were in luck! We ordered the cold soba which I believe is the traditional way to eat it. 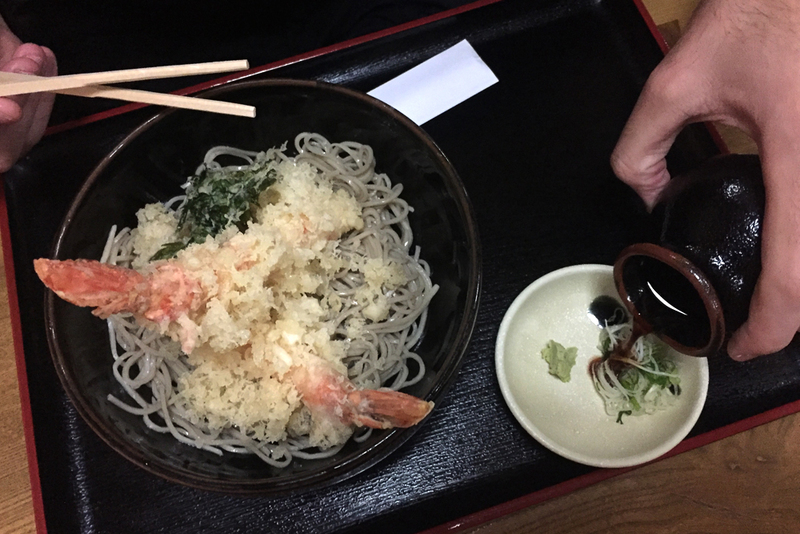 I had the soba with yam and one tempura prawn, believing that yam soba meant a soba flavoured with yam - this was not quite correct! In Japan, yam, or Tororo (Japanese: とろろ), is a sticky food made from grating a yam - the result is quite slimy and an acquired taste, I would suggest getting it without or on the side if you have not tried it before. 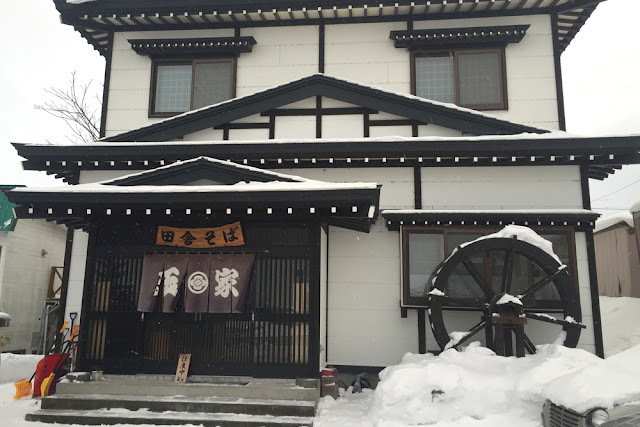 Soba is made from buckwheat flour, it has a simple flavour with a pleasant texture - you season it yourself by dipping it in soy sauce, spring onions and wasabi. The first time I was in Japan I was not the biggest fan of soba but now I really crave dipping the cold noodles in the soy sauce mixture alongside crispy tempura, if you're not into cold noodles, she also serves them hot and has some tempura mushroom vegetarian options. 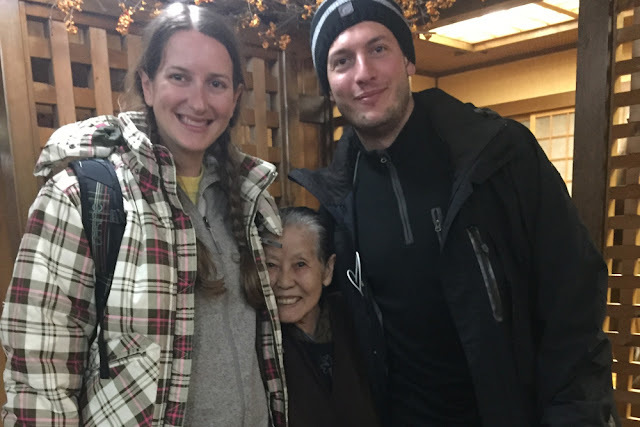 Ollie, the soba lady and I.